A Chimney Sweep is a person who does the task of cleaning your chimney inside out, assuring soot and ash free chimney walls. Due to the continuous burning of wood in cooler seasons, a product of combustion called Creosote is deposited on the inner walls of chimney. The Creosote could be a cause of house fire as it is highly flammable substance. Apart from this, the chimney might develop some abnormal behavior over the time due to structural damage or wear and tear. While getting the chimney swept is an important task, it is advised to check if the Chimney Sweep is professional. There are multiple Chimney Sweep Associations that provides chimney sweep training and make them acquainted with its operations. Ensure that they have a valid certificate which allows them to perform the duty. Spare a few minutes on internet searching for authentic service provides that are reliable. While documental evidences would easily assure a great service by the Chimney Sweep, keeping an eye on his work would also be beneficial. A good chimney sweep would not only clean the chimney wall, smoke chamber, fireplace, liner and damper, he is sure to detect current issues with your chimney. Within no time he can find out the potential hazards and bring them to your notice. It is a matter of few minutes to observe and be assured that your Chimney Sweep is doing the job effectively. He might come up with a questionnaire about chimney performance in the past and issues, if any. Make it a point to answer them and at the same time be curious to know his actions. A good Chimney Sweep would fill up the form with details of problems and actions to fix them. Refrain from blindly installing new devices such as cap, smoke detectors without ensuring the details. Sometimes, the chimney sweep might try to sell his business by assuring unrealistic product features. Chimneys are complex structures so, often customers are duped, because, after all, most of us know nothing about them. And we can’t see much inside them. 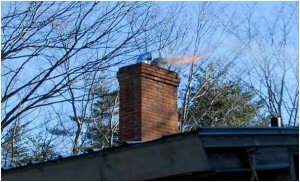 Do a little research about chimney operations and don’t fall prey to the false promises. Though safety is the focus, get rid of annoying service providers. Always ask to back up the claims made by Chimney Sweep about false functioning of chimneys. While the minor faulty parts can be replaced right away, it is not recommended to play with structural items like chimney liners, without detailed investigation. One must choose the correct liner size that matches with the chimney type. Enlist the licensed Chimney sweep training Service Providers in your country and choose the best out of them. All of them issue the chimney cleaning certificate, which is a must have record for claiming Home Insurance. Do check the validity of this certificate and ensure it is valid for availing the insurance benefits. If it’s possible, stick with a single service provider as they have periodic schedule for Chimney Sweep and they can utilize the past data to keep the chimney safe and operational.